Why choose personalised umbrellas? 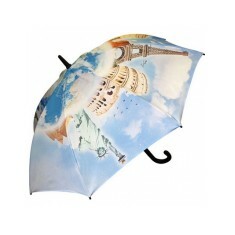 Protect yourself from the pouring rain or find some shade from the sun with our custom printed Umbrellas. We have filled our range with a huge variety of personalised Umbrellas whether you’re keeping children out of the rain with branded Childrens Umbrellas or making sure your golfers can stay dry on the pitch with customised Golf Umbrellas. Available in a huge selection of sizes, all of our promotional Umbrellas are highly customisable, making them excellent for spreading your message. 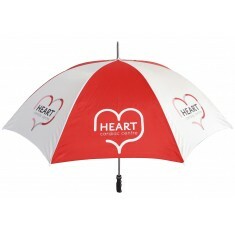 One of the most practical categories when it comes to promotional Umbrellas is our branded Telescopic Umbrellas. These are perfect for taking on the go with you and popping into your bag for when the sun pops its head from behind the cloud. 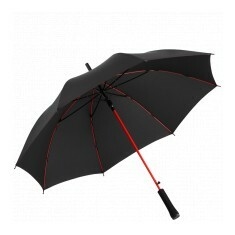 In search of a gift umbrella for your best clients? Our promotional Vented Umbrellas are designed with a vented canopy so that when the wind picks up, your umbrella will not turn inside out! Need some more information on any of our products? Give our sales team a call and we can talk you through all the options. Don't get caught out by the British weather! 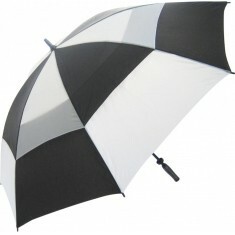 Our Budget Golf Umbrella has a wi..
Make the most of the rain with our Executive Walker Umbrella. This city sized ..